M&A in industries suffering terminal decline makes sense ... sometimes. But the Lorillard buyout doesn't. Two of the three remaining American “Big Tobacco” companies announced today that they will merge: Reynolds American (RAI) will buy Lorillard (LO) for $27.4 billion, including debt assumed. Reynolds and Lorillard combined have sales of $13.3 billion and a market cap of $55.3 billion as of yesterday’s prices, leaving Altria (MO), the maker of Marlboro and other iconic brands, in the No. 1 spot. Altria has annual revenues of $24.5 billion and sports a market cap of $84.5 billion. Breaking it out by market share, the new RAI/LO will control about 42% of the U.S. cigarette market, Altria will control about 51%, and smaller and foreign brands will make up the rest. So, How Does Lorillard-Reynolds American Look? I’ll be brutally frank here. I question the value of this merger. Reynolds American is paying a high price for what is, we should remember, a business in terminal decline. As of yesterday’s close, LO stock traded for 21 times earnings and at a dividend yield of only 3.8% — quite low by the standards of a tobacco company. Let me be clear on something: I’m not necessarily opposed to buying stocks in industries that are in terminal decline. Under the right set of conditions — barriers to new competitors, dominant market position, minimal need for new capital investment, ample cash flows for dividends and buybacks, etc. — stocks with shrinking businesses can be excellent investments. But the key here is price. An investment in a shrinking company only makes sense if it is priced at a deep discount to the broader market. And LO stock — as implausible as this is — trades at a slight premium to the S&P 500. Forgetting price for a moment, the Lorillard deal also brings with it regulatory risk. See, 85% of Lorillard’s sales come from its menthol brands, and these have become a lightning rod in recent years. The U.S. Food and Drug Administration has already banned most flavored cigarettes and reported last year that it believes menthol cigarettes contribute to youth smoking. Reynolds is effectively making a $27.4 billion bet that the FDA will leave menthol cigarettes alone. That seems reckless to me; it’s a bet with modest upside and potentially disastrous downside. Sell Reynolds if you own it and move on. I’m not the biggest fan of tobacco stocks at current prices. I have shares of Altria and Philip Morris International (PM) that I have owned for years as part of a dividend reinvestment strategy, but I haven’t invested any significant new money in these positions in years because I see better income options elsewhere, such as in REITs. 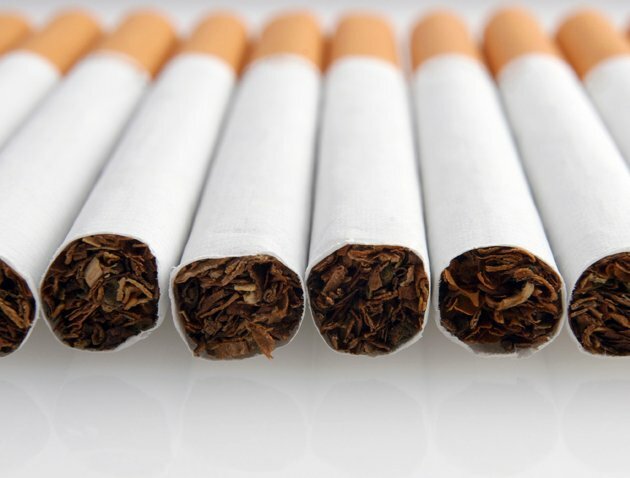 If you feel you must own tobacco stocks, then I would go with Altria or Philip Morris. While neither are fantastic bargains these days, neither have the potential regulatory time bomb that RAI does in its exposure to menthol. Charles Lewis Sizemore, CFA, is the editor of Macro Trend Investor and chief investment officer of the investment firm Sizemore Capital Management. As of this writing, he was long MO and PM. Click here to receive his FREE weekly e-letter covering top market insights, trends, and the best stocks and ETFs to profit from today’s best global value plays. Article printed from InvestorPlace Media, https://investorplace.com/2014/07/lorillard-reynolds-american-rai-lo-stock/.